Here’s an overview of how I’ve lived my life in September 2018. From a mental perspective, I’ve simply felt so much more eager to simply ‘take action’ this month. There’s plenty to get off my chest. It’s definitely been a month of times ending and new beginnings starting to take place! There’s so much to tell you about this month. I only hope it keeps you all interested enough. This blog labelled itself as ‘The Epileptic Man’ for a reason, and my epilepsy has been a bit dodgy. I always find myself feeling fine when I wake up in the morning. But during a busy day there are often points when I’ll need to keep my seat. It’s usually in to the afternoon, but negative feelings occur and I can feel my heart beating. Most of the time, it leads to nothing. It wouldn’t be right to warn everybody near me every time this feeling comes along. But around once every week – often after I’ve been using my computer – it’s led to a seizure. When people ask me how common my seizures are, I average it out. It differs over time, so I tend to tell people that it’s usually around once every two weeks. In the past, I’ve gone for three months or so without having a single seizure. But right now, it’s obviously twice as bad. It led to me unconsciously damaging my plastic bed side table. A wicker one has replaced it for £50. The next important step I’ll be taking in my life is gaining employment. On 31 August I went to see local MP Graham Brady and councillor John Lamb. I’m not usually a person who likes to think much about political problems, but we had a good chat. But despite the negative feelings that are more often gathered after hearing about a political discussion, I’d say our talk went well. One man who I didn’t know was due to be involved in our discussion was councillor John Lamb. After talking about my next-step options, he said he’d contact me in a couple of weeks. 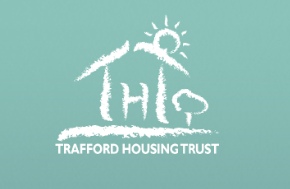 John told me he is a part of Trafford Housing Trust (THT). As a local profit-for-purpose company that are based five minutes from where I live, I’ve talked with them before. We’ve previously talked about my plans to build Disability Central, and Zoe Taylor has vowed to support me. John told me he thinks there’s somebody else at THT who should be able to help me out. He was not lying. After receiving John’s email, I contacted George Whalley, who is THT’s Director of People & Talent. I arranged to see him on Wednesday 26 September. He’d just spent six months volunteering in Africa, but was more than happy to help me out upon arrival. Unfortunately, not every person who reads my blog is living in my local area. But if you are, and if you’re struggling to find work despite application, go and have a talk with THT. George gave me a whole host of ideas. He told me how I should present myself to employers when applying. He told me how to work well in an interview too. I had an interview lined up just two days after that, so I felt this information could be useful. This month I’ve been edging closer to gain the employment that I crave so much. The paid work I want to do to begin with is going to be for a charity organisation. I know it’ll be in either sales or admin, and charities don’t pay more than minimum wage for this sort of work. But I don’t care. That’s because charities understand the rules of equality and diversity. They give their benefits to those who need it most. I won’t earn much money through a charity to begin with, but I’ll be earning more than I am right now. And I’m choosing to go part-time. One reason for this is because I’ve epilepsy, with fatigue an obvious issue. I couldn’t manage 35 hours per week at Lloyds Bank – it was cut down to 30. But I’ve got other ideas in mind as well. My blog, Disability Central and other plans will be developing soon. This month, two charities gave me the nod to come along for an interview. These charities were the British Red Cross and Barnardo’s. On Tuesday 18 September I tried to answer the questions that were fired at me in Preston. It seemed odd that they had to interview me there – the role was based at Wythenshawe Hospital. After it took place, I felt pretty dull. The Red Cross is an important charity, but I couldn’t answer their questions well. I did my best, but I think my mind went pretty blank at times. The questions also seemed a lot more lengthy and trickier than expected. I got an email one day later: I didn’t get the job. On Friday 28 September I did my best to answer the questions that were fired at me in Bolton. Although the role is based in Salford, Bolton is not as far away as Preston. After it took place, I felt pretty positive. Barnardo’s is the UK’s largest children’s charity, and I believe I answered every one of their questions well. This was after speaking with George Whalley just a couple of days before. I felt more prepared. If I do, then I’ll be so happy. And if I don’t? I’ll accept my defeat as quickly as possible and keep searching for similar sort of jobs. 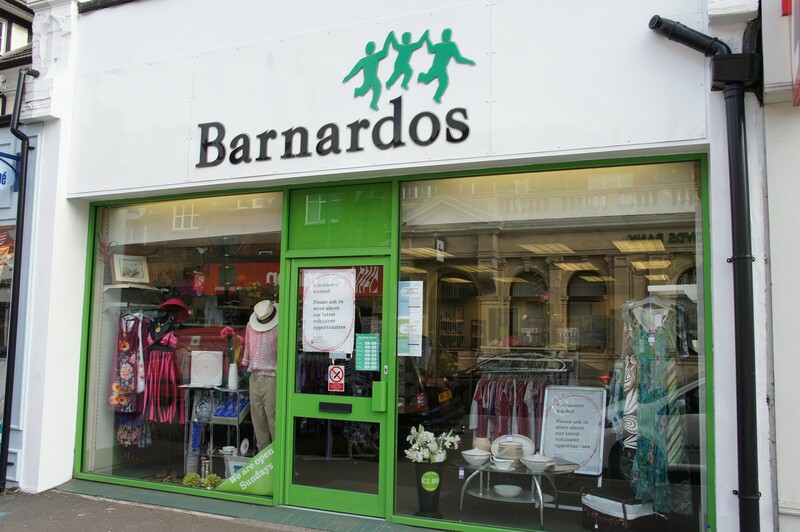 The Barnardo’s job is retail based – I’ll be a ‘store associate’ if selected. It includes a lot of tasks to take care of a charity shop. I’ll be backing up the store manager when needed, and covering people when sick in other locations too. I reckon I can do this job pretty well. I answered their questions and had a nice chat with my interviewers afterwards. I think this sort of retail job is more appealing than an admin-based job now. Making myself more experienced on a one-to-one basis with anybody sounds pretty good to me. 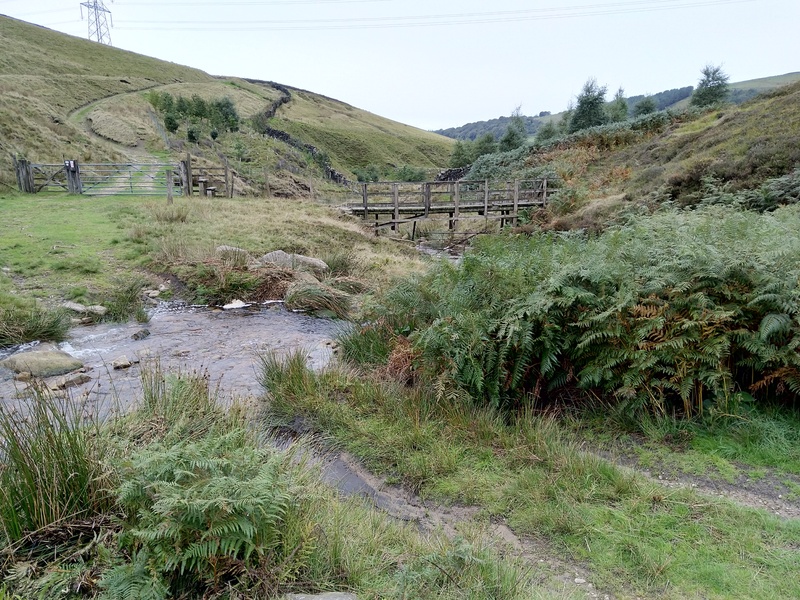 After nine months of writing weekly updates about walks for my local Rambler’s group, I decided to call it a day. I’m getting more busy all the time, and I started to forget to complete it on time. Another member said they’d happily take on the task, and the committee had no problem with my decision. The thing is, I was part of the committee, but not as committed to the group as other members. In fact, up until this month, I hadn’t been on a walk for about six months. I guess the writing seemed like enough intervention for quite some time. But I do enjoy walking, seeing sights, taking photos and having a drink with people. So, after six months of not walking, I took on a simple stroll to Dunham Massey to get back in the game. A more strenuous one took place a week later too, from Hadfield to Stalybridge. I’m thinking that at least one walk every month isn’t a bad plan to stick with. MAD Walkers members so often seem to be so nice. By making sure I go once a month, I reckon I can get to know people there better. Is this really too important to tell you about? Probably not. But like I said, another example of me ‘taking action’ this month is on show. I’m paying less on a contract with a better phone now, so I’m pretty happy about that. I think I’ve sat down for a discussion with the GMCDP just once this month, but I’m glad that I did. I need to keep this important information in my head. The social model of disability is the problem – and I’m still going to help deal with it. Disability Central is going to happen too. Nearly every person I’ve talked to about it says it’s a good idea. But there’s still research to do, and bits and pieces to figure out. Recently, with the pressures of finding work and preparing for interviews, it’s felt like a little too much to handle. But hopefully I can have that pressure off my back soon when I get myself a job that I want. There’s one other thing in particular that I’ll enjoy about working part-time for a charity organisation. When my job appears, I’ll be able to use my innovation. I’ll have a fair bit of command in dressing up the store I work in, and I’ll enjoy it! I enjoyed GCSE Performing Arts, and AS Level Media Studies too. Getting creative is important to me, and I certainly want to stay that way. In further and higher education, popular music was my main subject. Today, I still have a great interest in it. After finishing my degree, I started writing a lot, but I know there’s more to me than that. I’ve taken a deeper interest in other arts as well. Links to help me engage in these subjects seem to be available too. Manchester’s much loved L.S. 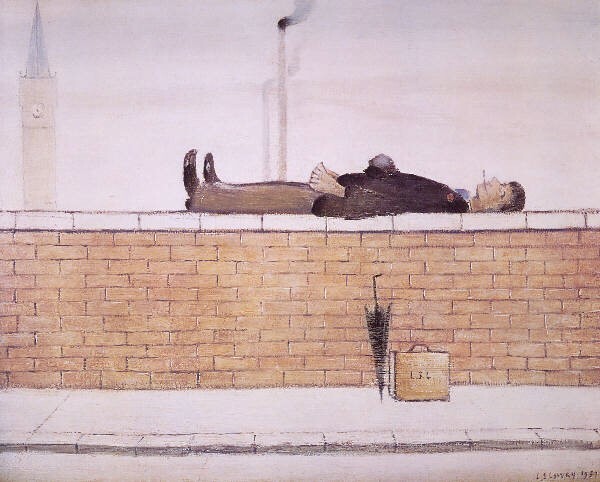 Lowry said “you don’t need brains to be an painter, just feelings.” I’m a man with a disability, and I have a lot of feelings. Expressing myself in an artistic way is something that sounds so appealing . Family Time with a Fellow Vegetarian. Natasha, the youngest of my talented little sister’s just turned 17. She just started studying AS Levels in Drama, Film Studies and Computer Science. I met up with her and my Dad in Rochdale this month when she had a bit of spare time for lunch. It was great to see them both, and I wish Natasha a great time in further education. I hope she enjoys all of her chosen subjects. My sister made another choice when she was about 12-years-old. She decided that she wanted to be a vegetarian. I’m 29 now, but am certainly now following in her footsteps. I don’t eat meat. People who decide to follow vegetarianism are often animal lovers, and I don’t despise animals. But then again, I’ve not had a sudden burst of love for them either. The main reason I’ve followed the pathway is because spiritual people often choose to do so. In terms of health benefits, being a vegetarian also has its advantages. A lot of fast food is no longer within my reach, and all in all, I’m quite happy about that. 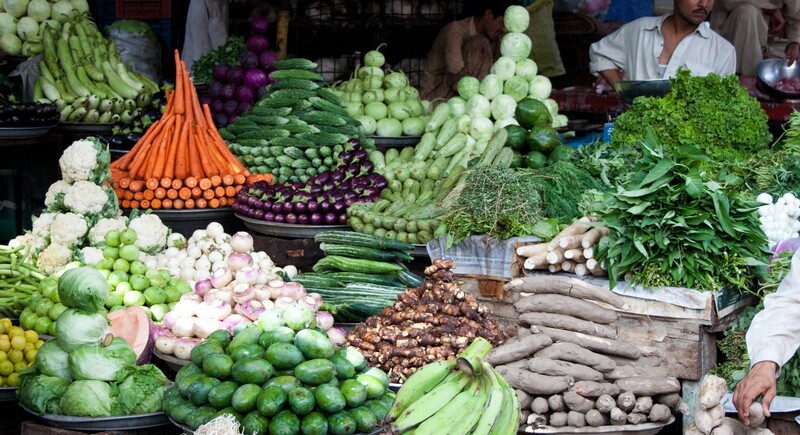 People who are vegetarian tend to more often avoid cancer, heart disease, diabetes and other health problems too. I only hope I can now keep myself alive as a healthy man. My mind feels pretty refreshed with this decision too. I’m meditating more often as well. I won’t neglect the friends that I have, but I hope to meet more spiritual people because of my choice. So, yes, I’ve been busy. And I may well be even more busy next month! I’m certainly OK with that. I’m trying not to think about whether I’ll be working soon, but it’s quite difficult. As I said, I’ll be so happy if I’m given the opportunity to start a job tomorrow. But if I don’t, it’s not the end of the world. I feel like I’m building up my stance and being noticed by the right people now. It’s an exciting time for me in my life. I reckon I’ll be happy to tell you about what I’ve been up to in October too. Thanks for reading more than 2000 words today. I wish you all the best – take care.